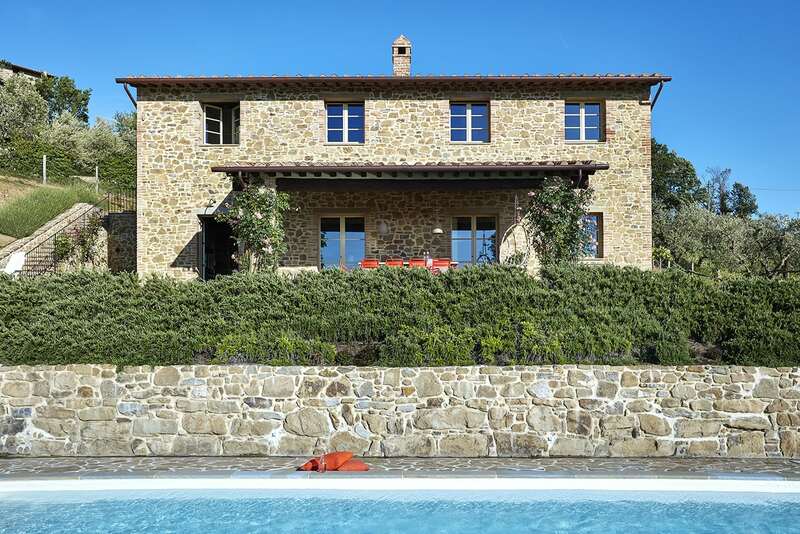 The house has one neighbour, a similar villa that is not rented. 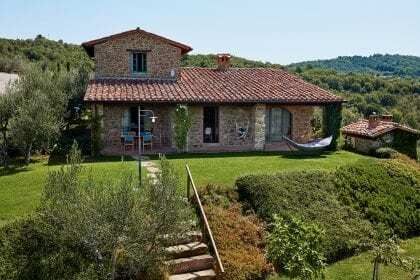 The nearest village Castiglion Fosco is just over 5 minutes away by car. 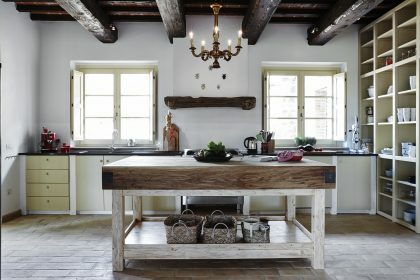 It has a post office, bar and small shop. 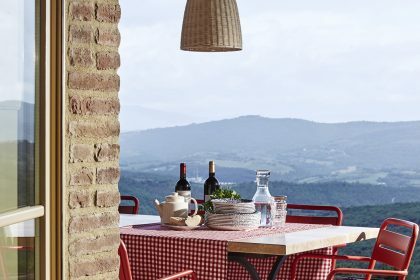 Tavernelle di Panicale is 10 minutes by car. 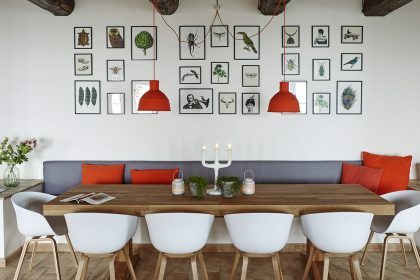 It has a great bar, pastries, weekly market on Monday and good supermarkets. Piegaro is a 15 minute drive and is a sleepy medieval town with some shops (restaurant, butcher, bakery, small grocery), bars, pharmacy, bank and a church. 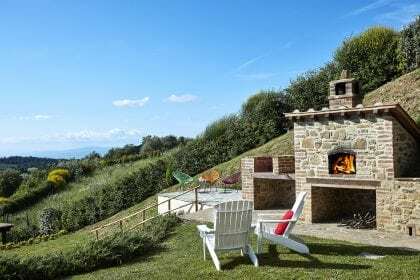 Lake Trasimeno, where Umbria spills over into Tuscany is Italy’s fourth largest lake and a prime spot if you want to tiptoe off the well trodden trail and slip into the slow rhythm of lake life. Around this 128 sq km lake, olive groves, vines, woods of oak and cypress and sunflower fields frame castle topped medieval towns, such as Castiglione del Lago and Passignano. 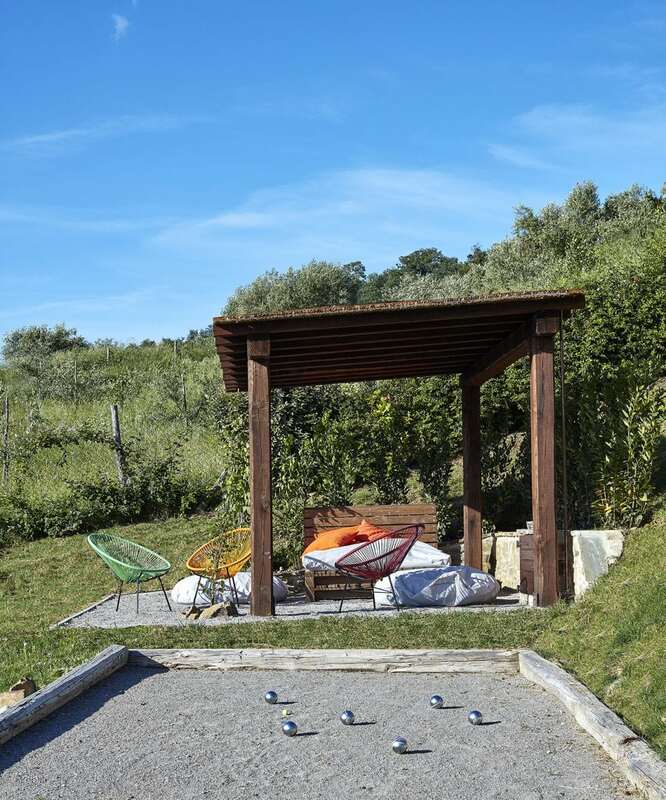 You can swim from the lakeside beach at Castiglione del Lago and beach and water sports are available there. 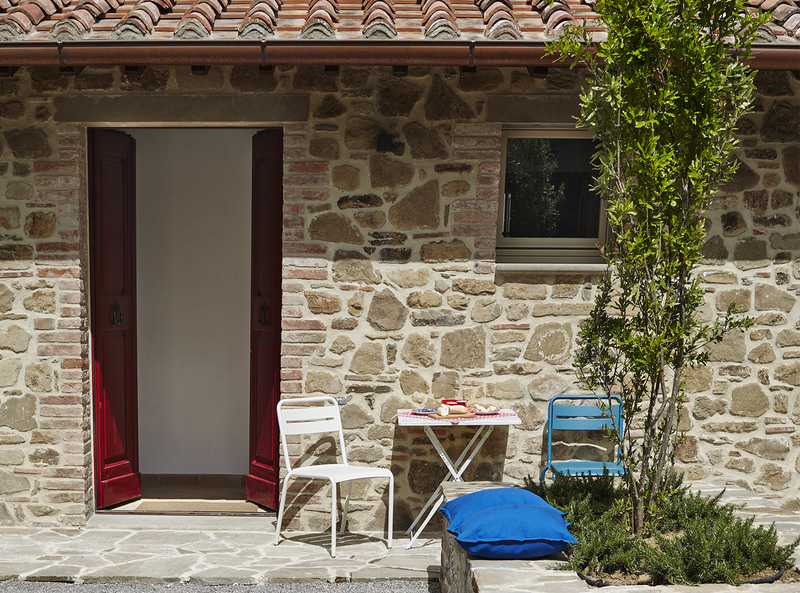 We are really pleased to have this house in our Italian programme. 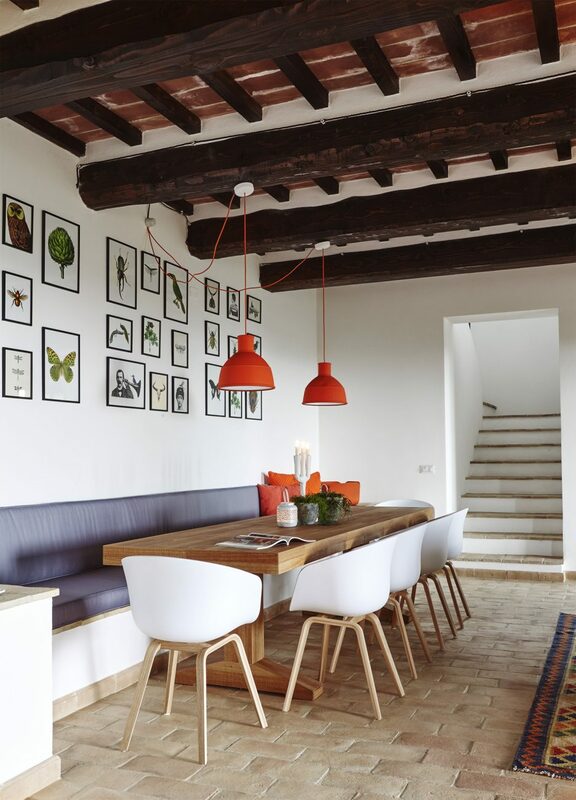 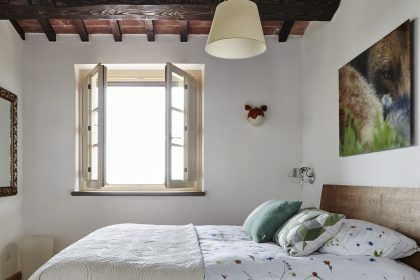 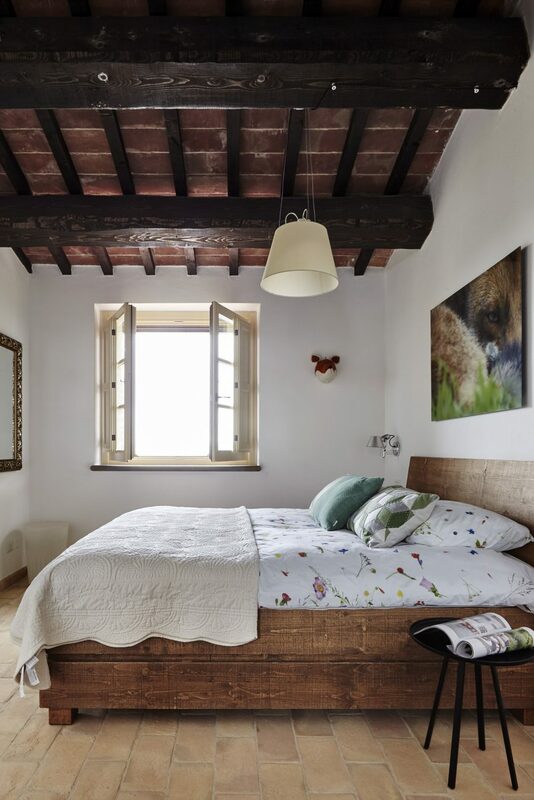 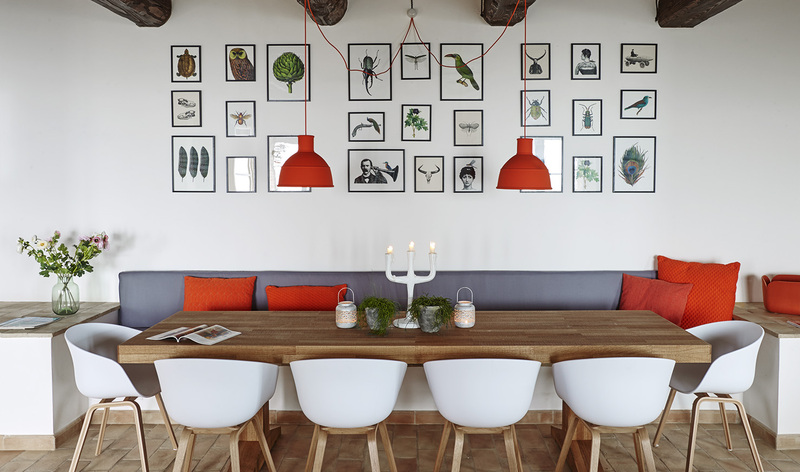 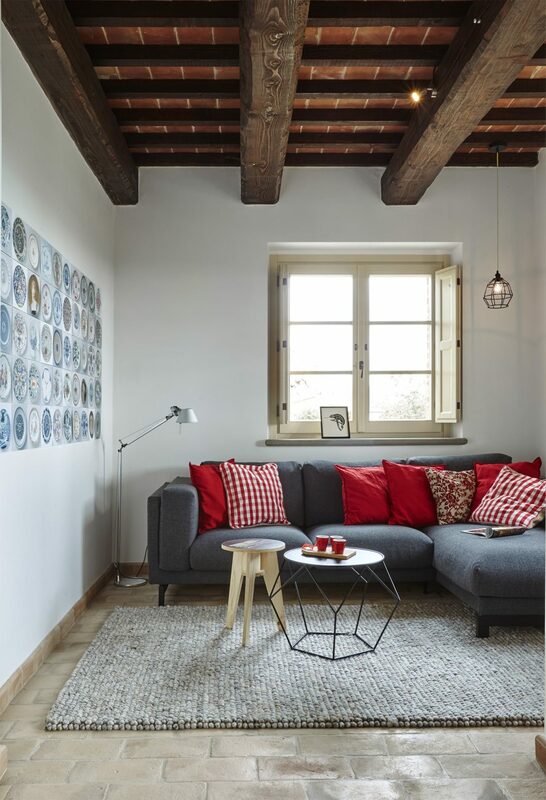 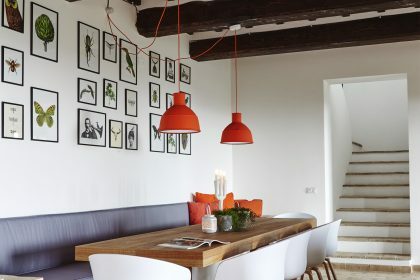 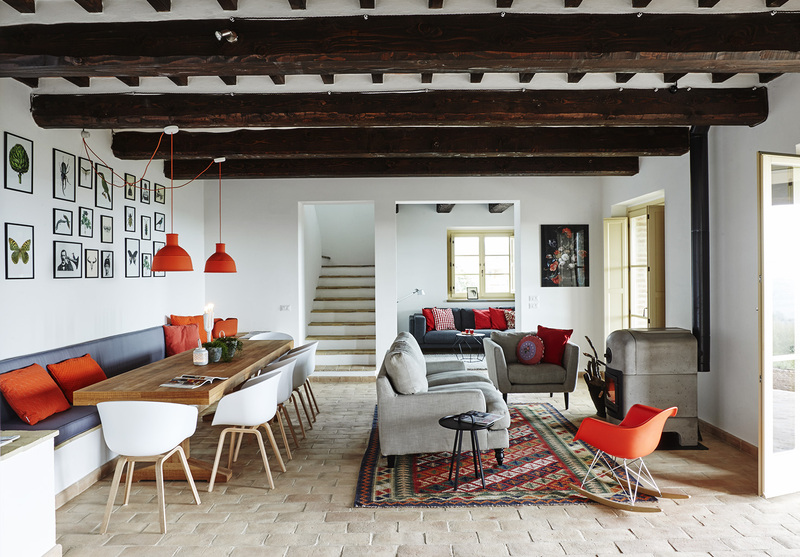 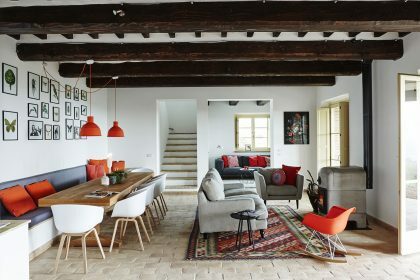 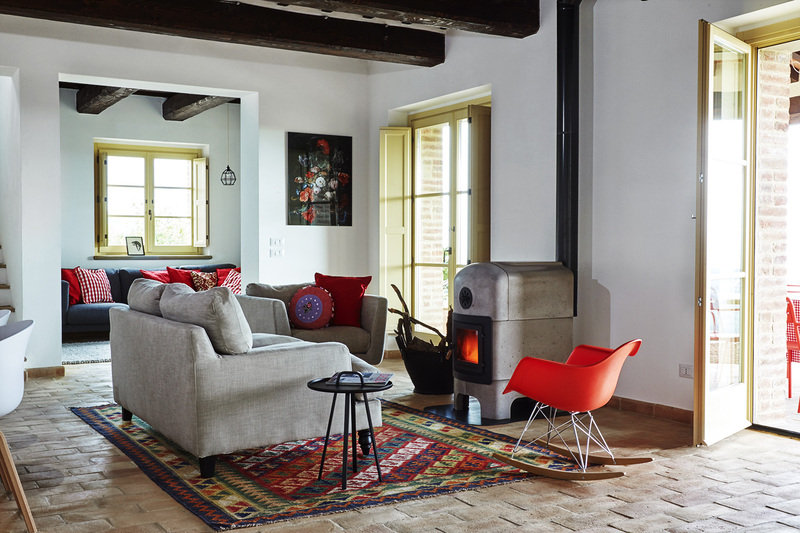 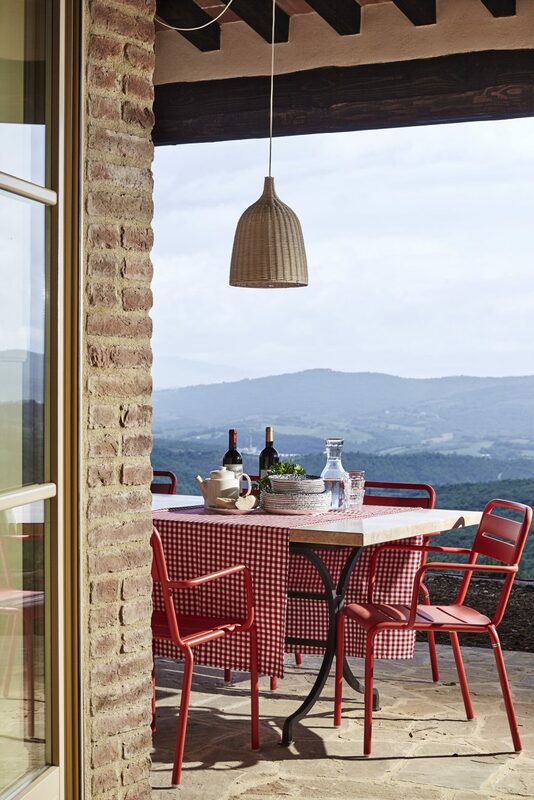 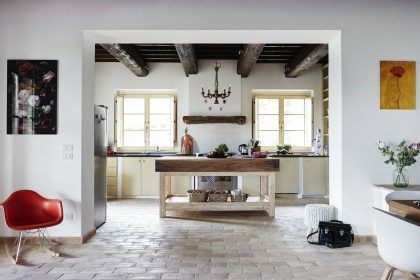 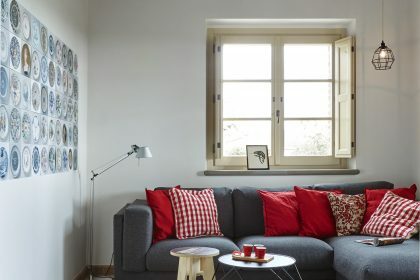 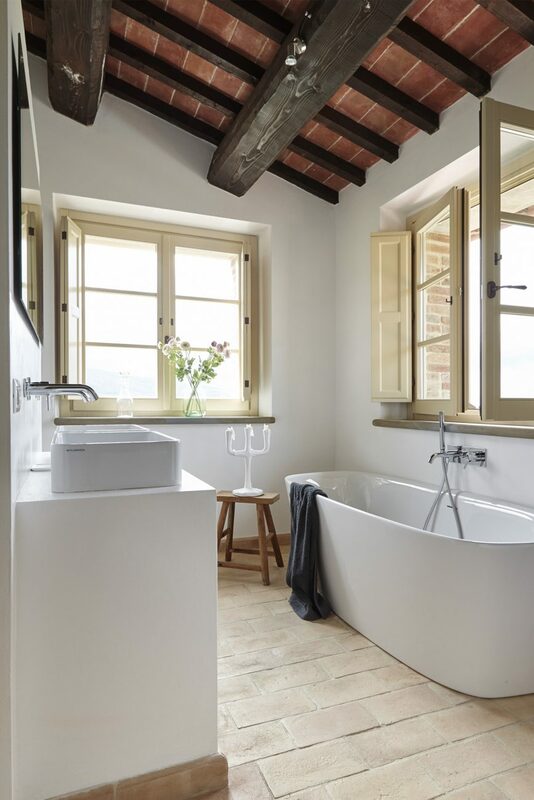 The designers have got it so right with an imaginative combination of traditional Umbrian building style and modern interiors. 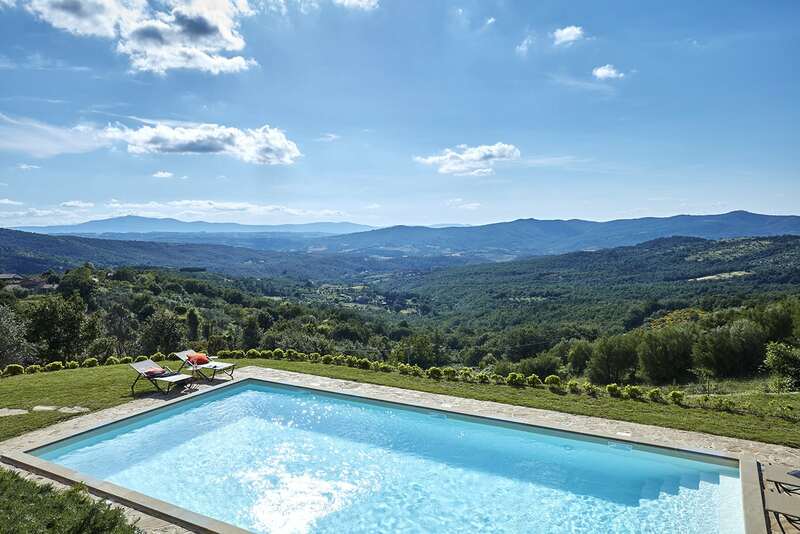 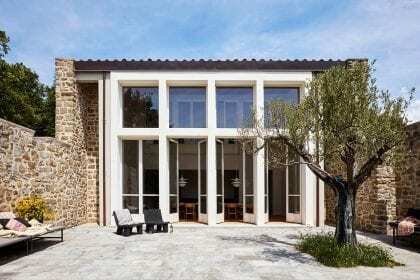 Outside the house blends beautifully with the rolling hills of the Umbrian landscape – the views from the terrace are particularly impressive overlooking the medieval towns of Montepulciano and Citta della Pieve. 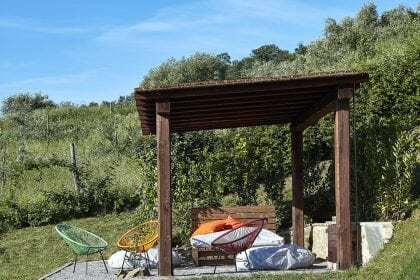 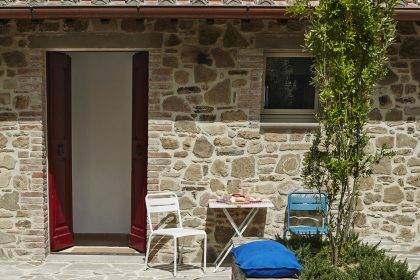 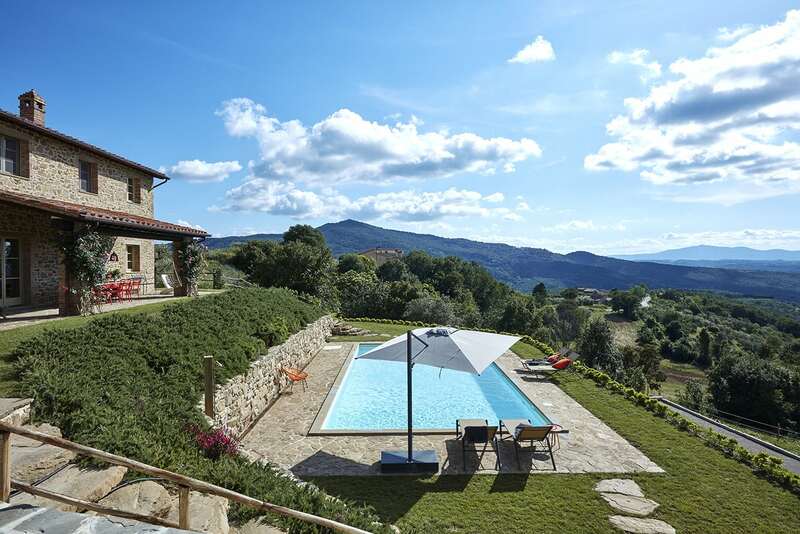 Dine here on delicious produce from the local markets and your own homemade pizzas whilst watching the sun setting over the Tuscan mountains- perfection. 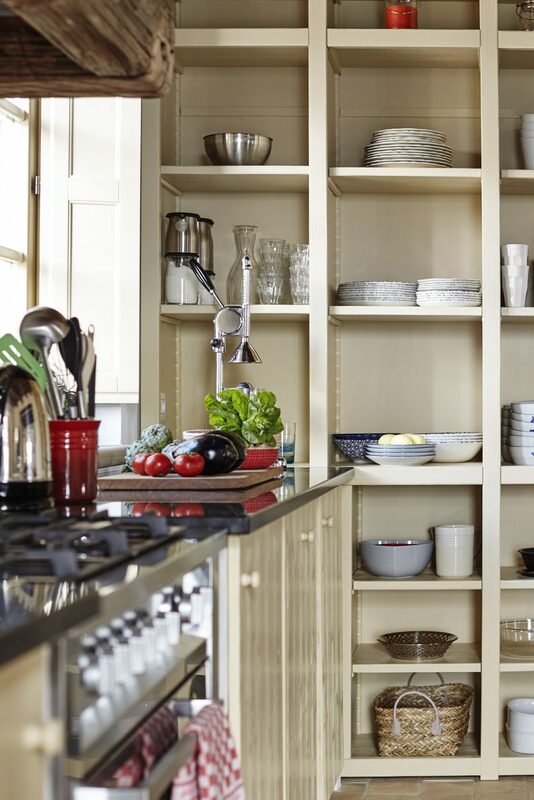 Inside, the house reflects the Dutch owners’ cool style and is dotted with pieces of modern design including the Piet Hein Eek dining table and Weltevree wood burning stove. 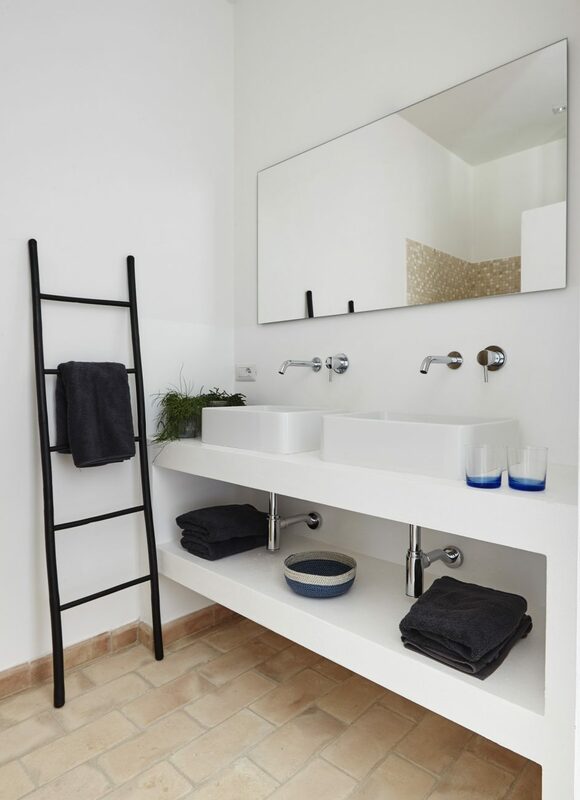 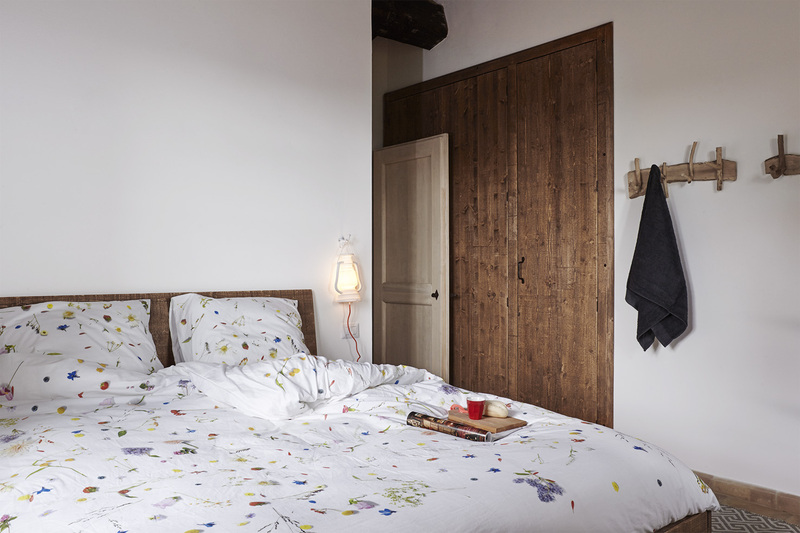 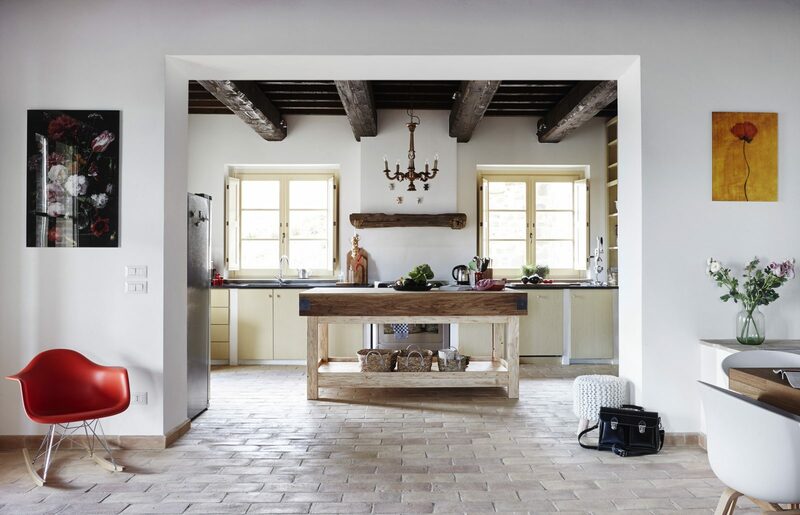 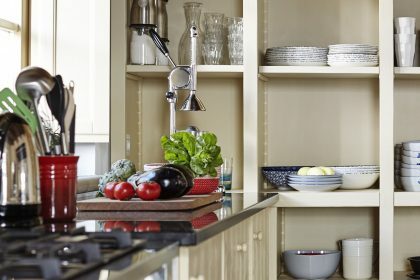 White-washed walls and beautiful terracotta floors are throughout. 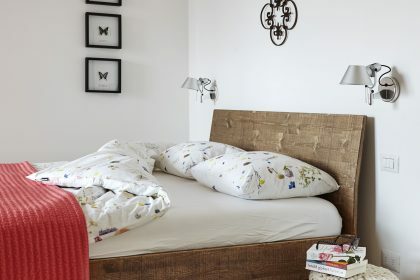 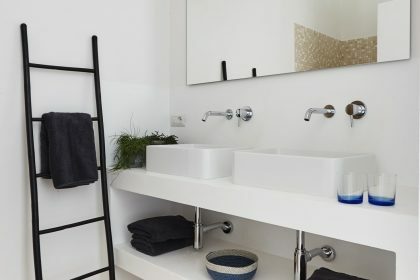 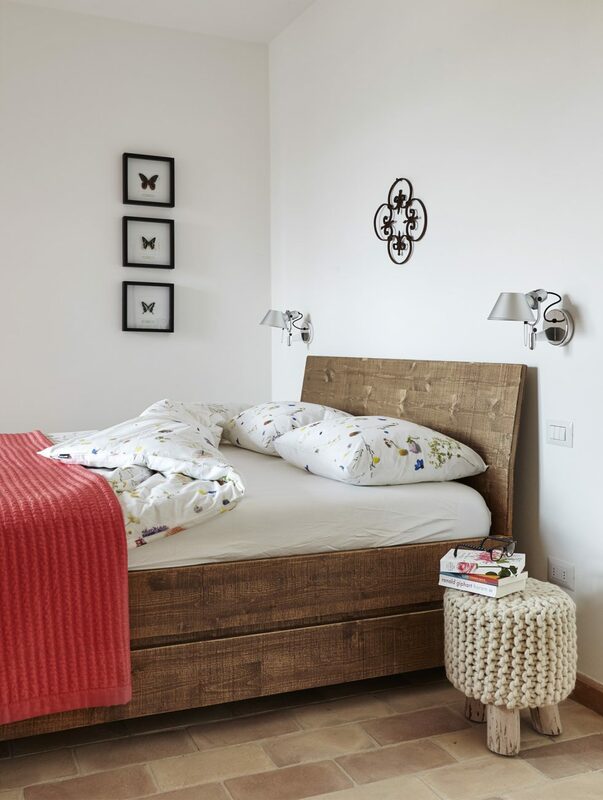 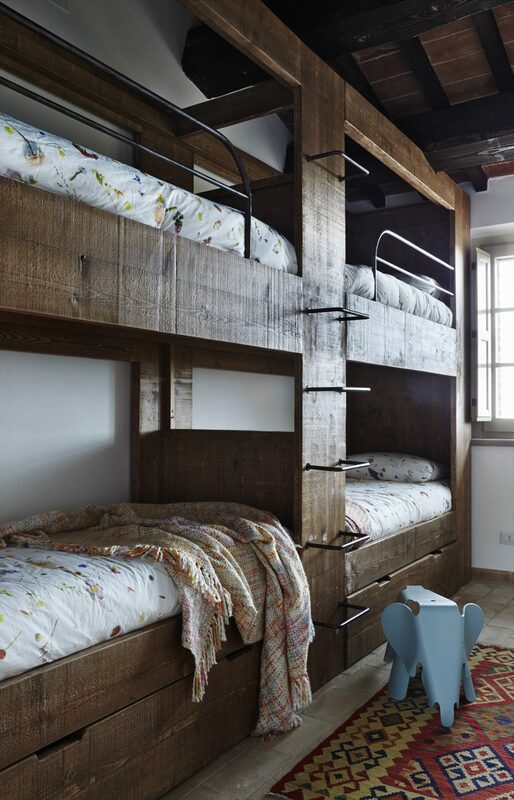 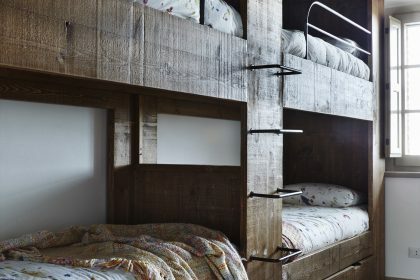 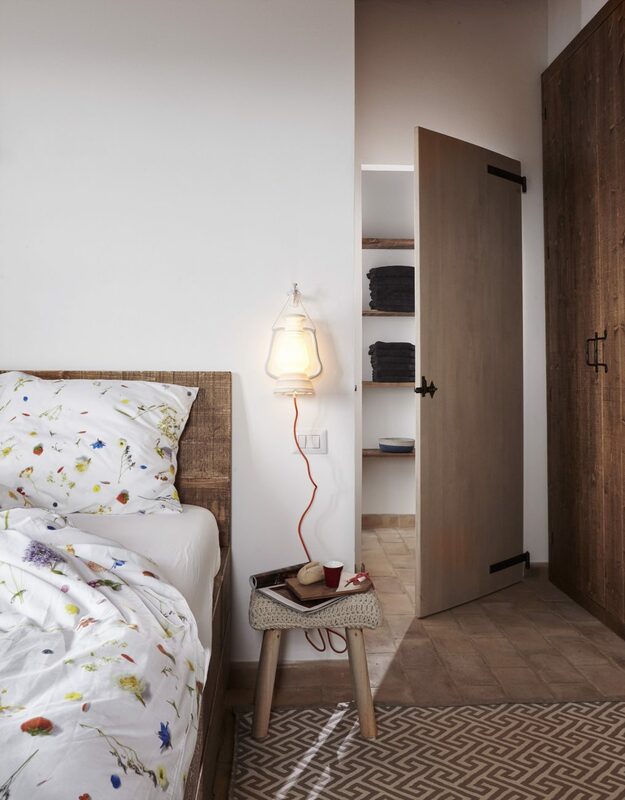 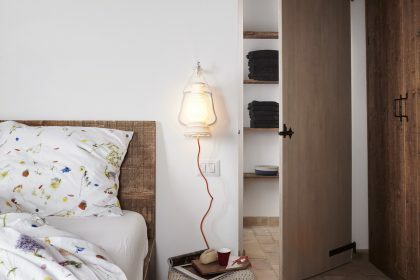 Each of the bedrooms is spacious and airy and the bunk room is great for children or even teenagers – the beds and the inbuilt wardrobes are made and designed by a local carpenter. 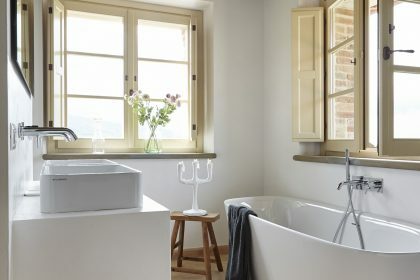 The views from the bedrooms are wonderful and just the thing to unwind but wait till you the see the views from the stand alone bath tub! 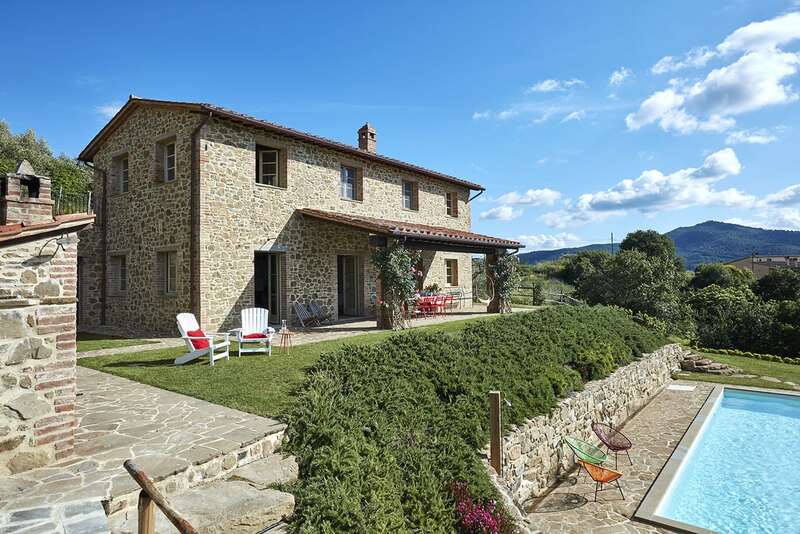 This is a great family house of a very high standard within very close proximity of all the delights that Umbria and Tuscany have to offer- we think you’ll love it!